We value your feedback as we continue to focus on program improvement! Look for an email on December 10 with the first quarterly survey requesting your input about the customer service and technical assistance we have been providing to you. Survey results will be used to improve our ability to provide the level of service you deserve. Reminder: stories of service can now be submitted in TimeTracker. Don't forget those awesome pics! Our team is here to support you, and actively checking in by phone, email or site visit. Please take a moment to let your Program Coordinator know how they can help you succeed. Don't delay! If your service site will be closed due to winter break, start lining up alternative sites and getting them pre-approved. Review our guidelines for more information. Site staff, please visit the Training Hub to review updated information on how to submit your project data for First Quarter. 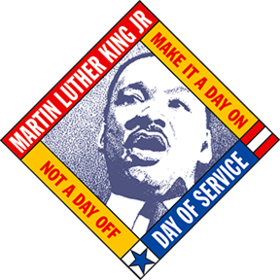 As a national day of service, we expect members to serve on MLK Day, either at their site or elsewhere. We are putting together a list of projects that members can connect with if their site is closed or they don't have a project of their own. More details to come later this month. Site staff, please support your member in finding a service opportunity for this day. This time of year can be challenging, whether it be the lack of sun, holiday stress, or the busy pace of service well underway (or maybe all of the above). Avoiding burnout by taking care of yourself is critical. And members, please take advantage of one-on-one assistance through the MAP program whenever you need it. Accidents happen, even for superheroes like AmeriCorps members. We've already had two members incur injuries this year, let's try to avoid any more. Please review site safety rules before the upcoming holidays. Site staff: member performance evaluations are due by January 31. Start planning now. 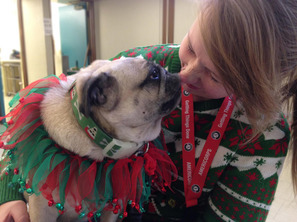 AmeriCorps members are not eligible. No financial impact to members. There is no employee / employer relationship between members and WSC.